Dr.Mayur Dudhat | Dental Surgeon and Implantologist. Dr.Mayur Dudhat is Dental surgeon by profession. 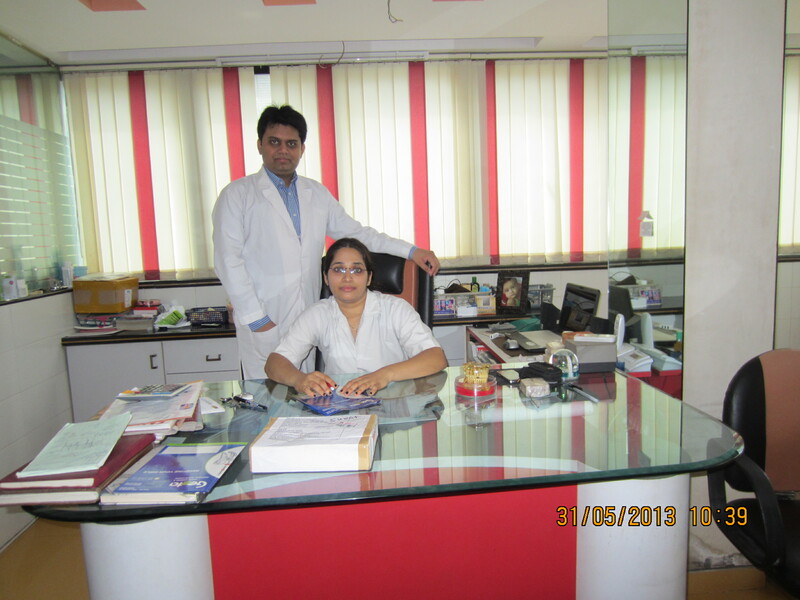 He is practicing in surat in his own Superspeciality Dental Hospital-Geeta Dental Hospital and Implant centre. He did his studies in Jawahar Navodaya Vidyala,Porbandar up to 12th grade.After achieving good percentage he got admission in one of the renowned dental college in Asia in Ahmedabad-The Govt. Dental College and Hospital. After completing he was appointed as a chief dental surgeon in BAPS Pramukh swami hospital,surat where he served for year and a half.During this job he appeared for GRE and TOEFL for higher studies in USA,in which he got good scores with God’s grace.On that basis he was offered admission in Long Island University, Fairleigh Dickinson University etc. But Dr.Mayur thought of the debt of his country,society and his mother-GEETA in his life and finally decided to stay in India only. Then he started his own dental hospital with latest instruments and high tech facilities.With God’s grace and Mother-Geeta’s blessing he has got a good image amongst his patients.His fame has gone overseas and so many NRIs are visiting his Hospital for their dental treatment.Dr.Mayur has served them to the highest level of their satisfaction. He gives all the credits to his Mother-Geeta and Lord Swaminarayan for his work. أنا محظوظ جدا لمعرفة الإسلام من مرضاي ودية. انهم جميعا الله تعالى ( صلي الله عليه وسلم ) الملائكة بالنسبة لي هما فاروق Maljee ، رفيق علي سالم باتل ، يونس و عديدة. I received very good dental treatment by Dr.Mayur. I had 1 crown,1 double crown,root canal on 1 tooth and 1 wisdom tooth removed. I am very satisfied with his service with reasonable charges. I will visit Dr. Mayur again when ever I will go to India.Thanks, Dr. Mayur. to dr. mayur dudhat sir …………thanks again and again………..
Geeta dental hospital is the best place to visit for any dental procedure. i got dental treatment at geeta dental hospital..
it was very nice and painless. i am very happy with dr.mayur dudhat. Has any of you got dental implants done,if yes how much was the treatment. this is my immense pleasure to write about dr.mayur dudhat. he is a great dental surgeon. i came to dr.mayur n dr.heena with reference from our family friend. i was much afraid of dental treatment but as i went through the treatment at Geeta dental implant centre my fear was gone. amazingly the treatment was total painless. thanks to dr.mayur n dr.heena as well. i would recommend everyone to visit dr.mayur atleast once.. I needed consultation with a good Dentist& after enquiry at Net,I chose Geeta Dental Hospital. After reaching there,I was glad to have made good choice& I got very good response ,environment was very comfortable,over & above i found Dr Dudhat very nice ,with much interest examined my dental situation ,discussed my problem in depth&advised me next course of action.Being some time with him in his chamber ,I much impressed with his approach not only as a Dr ,but also an excellent person .I also could know his social life which is very praiseworthy . I express my thanks to him as well as his wife Dr Heena Dudhat. I wish them best . I would like to have an appointment for my missing tooth, needs implant and alignment of all teeth with braces. I am in USA and coming to India/Navsari on April 8, 2017. Can I have appointment on April 12? Hello Mr Sanjay, How are you? When are you planning to visit us? An opinion from Jaanki Mistry.